The 34th edition of the GAMMA Reykjavik Open is shaping up to be a very entertaining event and one of the highlights of the chess calendar in Iceland as usual. The open takes place between April 8th and 16th and as usual there will be plenty of special events and another Fischer Random tournament will take place on the free day, just like last year! The 2019 GAMMA Reykjavik Open will be dedicated to the memory of Icelandic Grandmaster Stefan Kristjansson who tragically passed away last year at the age of 35. The new FIDE president, Arkady Dvorkovich will visit the tournament. The new leadership of FIDE is already looking very promising and hopefully chess is heading for bigger and better things under the leadership of Mr. Dvorkovich. The Reykjavik Open will welcome the new president with open arms. A little bird tells us that the possibility of a 50 year anniversary World Championship match in 2022 will be discussed thoroughly with the president! The playing field is shaping up to be interesting and strong just like in recent years. The players list is still being filled with GM’s and chess players of all levels. Gawain Jones from England and Nils Grandelius from Sweden are both tournament regulars and they come into the tournament with their ratings closing in on the magical 2700-barrier. The 2019 edition is very glad to keep up with the tradition of previous editions which have always featured young and talented players. In 2018 we had the Indians Praggnanandhaa and Nihal Sarin and also Nodirbek Abdusattorov from Uzbekistan. In 2019 we are very happy to welcome the 2018 World Junior Champion Parham Maghsoodloo from Iran and also his countryman Alireza Firouzja. Both have been turning eyes recently. Parham had a fantastic performance when he won the World Junior Championship and played board 1 at the 2018 Batumi Olympiad. Alireza made a strong showing at the recent World Rapid & Blitz championship in St. Petersburg. The youth movement doesn’t end there and D Gukesh the young prodigy from India will be playing in the Reykjavik Open as well. Gukesh made headlines in January 2019 when he became the 2nd youngest GM in history (after Sergey Karjakin) and of course current youngest GM in the world. The young Indian will officially get his GM title at the first quarter PB meeting of FIDE but until then he is a GM elect. At the time of writing we have 21 GM’s registered and in total 148 players are registered for the tournament but the usual number is between 250-300 and we are expecting a similar number this year. More strong players will be introduced to the players list in the coming weeks. On the free day just like last year there will be a Fischer Random tournament. The tournament was very well received last year and we want to see if this is a tradition that we could keep growing. The total prize fund of the Fischer Random tournament will be 3.000 EUR and is sponsored by the ECU. As every year there will be plenty of special events. The Golden Circle tour is always popular and we usually fill up the bus. The tour goes to the south of Iceland to look at waterfalls and geysers as well as going to Bobby Fischer’s final resting place. Satuday will have a blitz tournament as usual and on the free day there will be big Fischer Random tournament. The tournament was very well received last year and we even have some players coming over just for the Fischer Random! Other special events that we always have include the ever popular Pub Quiz where 30 questions about chess and chess history are asked. Past winners include Magnus Carlsen! 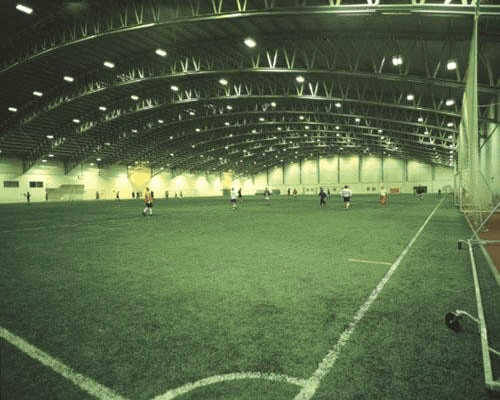 The opening party will still be before the tournament and you will get a chance to play football in one of Iceland’s indoor football halls. As in past years, we invite all participants of the 2019 Reykjavík Open to the Opening Party. The Opening Party of the 2019 GAMMA Reykjavik Open will take place in Smurstöðin Resturant, which is located within the Tournament’s playing venue, Harpa Concert Hall. This is a great opportunity to meet the faces behind the tournament organisation and to meet with new people from all over the world! Special drink offers for participants at the Bar! The Special Golden Circle tour will be on April 11th. Next, the tour will take you to the final resting place of the legendary Bobby Fischer, just outside the town of Selfoss. There is also a visit to the Bobby Fischer Center, the Center is very close to the grave. The tour will take approx. 7 hours. Included in this package is the bus ride and a guidance. Price is 6.900 ISK. Admission to Bobby Fischer Center included. Guests will be picked up 8:30 at Harpa (playing venue), see map below. The bus will not wait! The tournament is open for everyone and will take place in Harpa (the playing venue of the GAMMA Reykjavik Open) on March 12th and starts at 13.00. The Fischer Random Tourney shall be played according to the Swiss System in 9 rounds. Time controls are 10 minutes + 3 second increment per every move. The FIDE Chess960 Rules will be used. See: http://www.fide.com/fide/handbook.html?id=207&view=article (guidelines 2). See appendix I. The prizes are not shared. The entry fee can be paid in cash or by credit card at the playing venue. You need to confirm your participation before 12.00 at the playing venue and pay the entry fee. It is recommended that players confirm their participation and pay the entry fee on April 11th. Then it is not necessary to confirm the participation on April 12th. IA Kristjan Orn Eliasson will be chief arbiter. The decisions of arbiters will be final and cannot be appealed. Familiar faces winning the pub quiz in 2015! This year the famous Reykjavik Open Pub-Quiz takes place in Björtuloft in Harpa. Björtuloft (Bright Lofts) is located on the top floors of Harpa, at the very summit of the building, offering spectacular views of the city, the sea and Mt. Esja. The really popular and entertaining chess pub quiz which is becoming a standard feature of the tournament will be here yet again. As usual there are 30 questions about chess and the history of the game, both recent and past. This will be a pair event. Last years winners were Peter Doggers and Arne Moll but before them the winners were team GrandEllen, comprising of Nils Grandlius and Ellen Kakulidis. Harpa Blitz 2019 is held on April 13th. Minimum age: 18 years. Tournament is NOT rated! Entry fee ISK 2000 should be paid on location before the start of the tournament. Cash only! Money prizes for the top three seeds. Tie-break points will be used to determine the prize winners. Of course there will be the traditional football match between Iceland (the chess players and the organizers) and Rest of the World (the international chess players). It is a fun and relaxing activity after a hard fought game of chess. The Rest of the World team has both featured special guests like World Champion Magnus Carlsen and tournament players like GM Vachier Lagrave, GM Evgeny Tomashevsky, GM Loek van Wely, GM Emre Can, GM Alexander Ipatov, GM Jon Ludvig Hammer, IM Nicolai Getz, GM Danyyil Dvirnyy, FM Marina Brunello, GM Sabino Brunello, GM Robert Hess, GM Vasily Papin, FM Peter Doggers, GM Bartosz Socko, GM Mateusz Bartel, WIM Josefine Heinemann, GM Sebastian Maze, GM Etienne Bacrot, GM Laurent Fressinet, GM Fabian Libiszewski, and GM Matthieu Cornette. If they can play, so can you! On the Icelandic side GM Hjorvar Steinn Gretarsson and IM Ingvar Thor Johannesson have featured prominently. Other Icelandic players have been “secret weapons”. In fact Iceland – with the home court advantages – has usually done well, but with the increased popularity of the tournament among international players, the Rest of the World team is expected to do better. The football match for 2019 will be on Sunday the 14th of April and the confirmed start time is 20:00 in the door Football hall Fífan. Everybody will get a chance to play. We may split the group into four teams of roughly seven players each, on either one-half or one-quarter of a pitch. We play on artificial grass and the temperature inside the football-hall is about 15°C. If you play football you should bring your football equipment with you to Reykjavik! This is a fun and a very popular event! Registration can be handed to Róbert Lagerman, e-mail chesslion@hotmail.com, who is one of the distinguished Reykjavik Open arbiters, or simply at the chess-tournament info-desk. The closing ceremony will be held as usually at the Reykjavik City Hall by the pond. The City Hall is only a short walk from Harpa the playing venue. Prizes will be handed out and light refreshments and food provided by the city. So what are you waiting for? You can still get a discounted entry fee if you register before February 1st!